Time for a cupcake because Saleabration is a reason for a celebration, right! and today there's even more to celebrate: its a Saleabration blog hop. What better way to celebrate than with a cupcake! 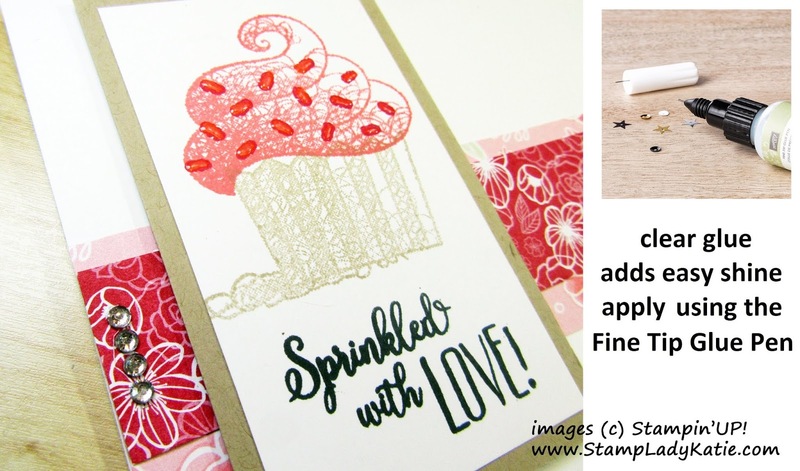 This cute cupcake is one of your options for FREE with Stampin'UP! 's Saleabration 2019. Yummy looking right? Can't you just taste the cherry frosting! The colors on the cupcake were coordinated with the colors in the Designer Paper. If you're like me you'll really appreciate the fact that the Stampin'UP! catalogs list all the colors that coordinate with the Designer Papers. 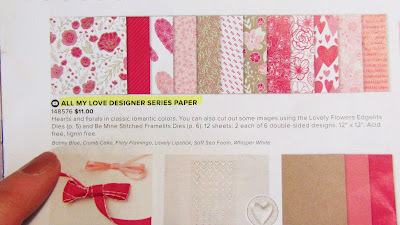 This paper is called All My Love and its found in the 2019 Occasions Catalog. If you don't have a copy of the catalog you can download the Occasions Catalog here. Today's card is pretty simple: just some stamping and designer paper highlights. You might have noticed some rhinestones along the left edge. Looking straight on they really pop. The other thing that makes this card pop is the sprinkles. 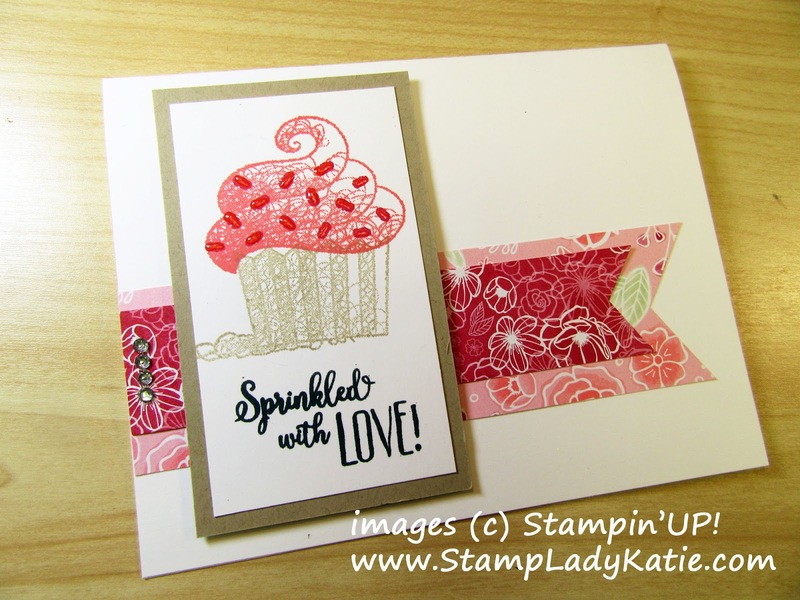 A dab of glue from Stampin'UP! 's Fine Tip Glue Pen on each sprinkle adds just the right touch of shine to the project. JOIN DURING SALEABRATION: Get $75 of additional product for FREE when you join during Jan-March. There's 3 good reasons to find a cupcake and celebrate - or sale-a-brate - or maybe both! When you have time, you may enjoy browsing my blog for more ideas. Thanks for stopping by. Click this button to visit the next blog in today's Sale-a-bration Blog Hop. I hope I've inspired you be creative. I'm happy to answer questions about this or any other project. 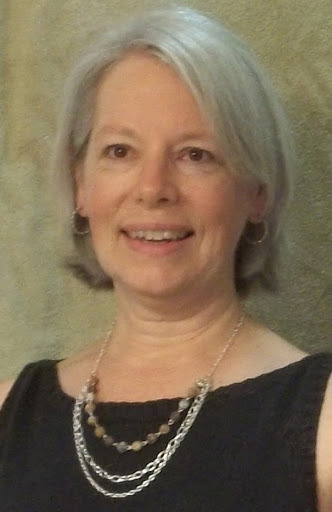 I can also answer questions about the advantages of joining Stampin'up! My email is in the header at the top of the page. I appreciate your business. You can earn extra rewards when you shop with me if you add the Rewards Code (found in the left pane of the blog) to your on-line order.